Icy Creamy, Little Bites and a GIVEAWAY! YUM! Do those icy treats look good to you? I can testify that they taste incredible, even if they don't look quite as gorgeous as the ones pictured on Page 39 of my insanely-talented-friend's new book. They are the 'Roasted Peaches And Cream Pops' from Icy Creamy Healthy Sweet by Christine Chitnis. You would expect from the look of them that they were laden with a whole lot of guilt-inducing ingredients but here's where things get giddyingly good... they are healthy! Her and I feel the same way when it comes to how we feed ourselves and our families, especially our kids and every single icy treat inside the pages of Christine's new book uses seasonal wholesome ingredients and natural sweeteners. This book caters very well for all kinds of dietary preferences and food intolerance too. "Many of the recipes are vegan, nut-free, and dairy-free, and all are free of refined sugar, instead relying on natural sweeteners." I am steadily working my way through each recipe and although I lack photographs of all the ones we have tried, the kids and I are yet to be disappointed. "Here you'll find seventy-five original recipes for frozen treats. Depending on your dietary needs, these recipes lend themselves well to substitution. You can try substituting dairy milk for nut milk, or vice versa, and experiment with swapping in different sweeteners. Taste as you go; none of the recipes (besides those for the four cookies) contains eggs or other potentially harmful raw ingredients. The recipes in this book are made for playing and experimenting, though if you follow them to the letter, you certainly won't be disappointed by the results." This one is the 'Banana Almond Shake With Cacao Nibs'. My bananas were really ripe when I froze them so the shakes in this photo are darker as a result. Plus I didn't have any cream on hand so let's face it, mine just don't look as pretty, but they sure tasted good. This recipe is one I already know by-heart because I have now made it so many times. It might just be our favourite but that's a big call to make as there are many coming a very close second! I love it because it is so easy to whip together and the list of ingredients are things I always have on hand. It's become my go-to after school snack as it's the perfect filler - great for hungry bellies but not so filling that it interferes with meal times. It offers a little energy boost and tastes delicious to boot! 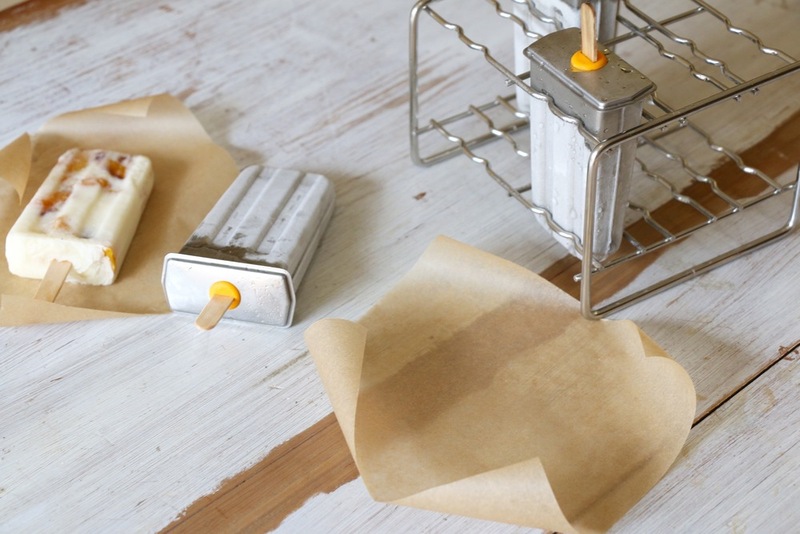 "This is the most requested frozen recipe at our house. 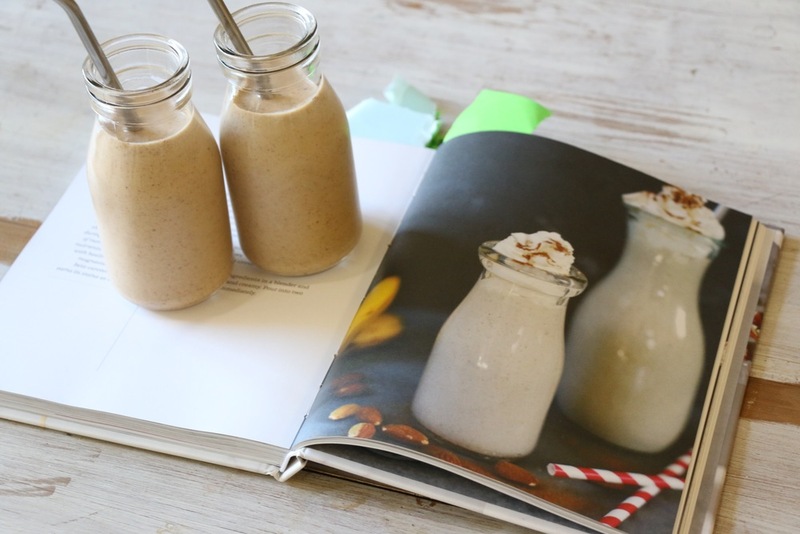 My boys love this shake for breakfast, as a snack, or for dessert. It is filling, full of nutrients and fiber, and deliciously sweet and creamy. On top of that, cacao nibs add unique health benefits to this shake. While cocoa is cooked during its making, stripping it of more than 90 percent of its nutrients, raw cacao is packed with health benefits like iron, magnesium, calcium, and beta-carotene. It certainly earns its status as a superfood!" Some of the other recipes include Firecracker Pops, Blackberry Coconut Chia Pops, Mexican Chocolate Fudge Pops, Black Cherry And Dark Chocolate Chunk Frozen "Yogurt", and Frozen Yogurt Bark. That's just five of the seventy-five! How delightful are just the names, let alone how delicious they taste!!!! They are all so so good. 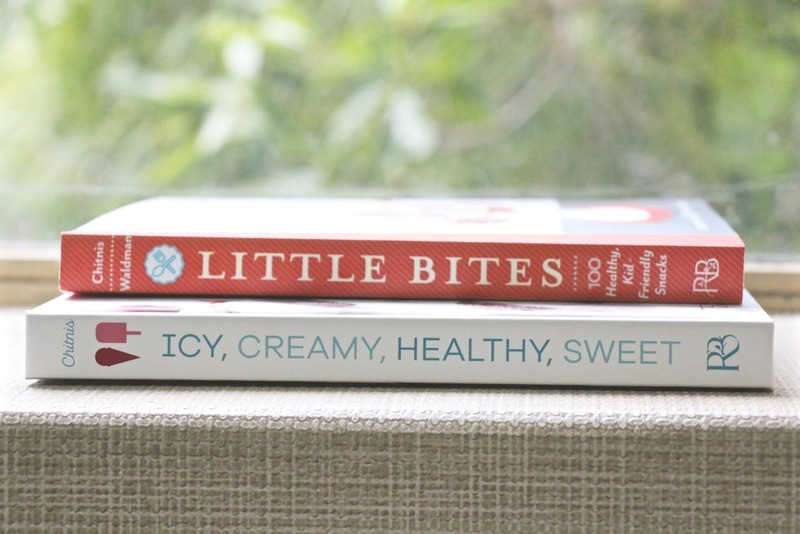 Icy Creamy Healthy Sweet is Christine's third book, with Markets of New England being her first and Little Bites, co-authored with Sarah Waldman being Christine's second book. The two most recent ones are published through Roost Books and are available to purchase through their online store. Alternatively, all are available through major online booksellers, plus selected bookstores around the U.S. (I'm not sure about Australian stores yet but certainly Aussies can get them online). Little Bites celebrates kid-friendly snacks but I have found that the recipes are not just limited to the wee-folk. I've worked my way through quite a few of these snacks now (this second book was released almost a year ago) and my own personal favourite are the Asparagus Fries with Parmesan Cheese, but recently the kids have been binging on the Carrot-Apple Cinnamon Sticks. I can't blame them as they taste like the most delicious muesli-fruit slice ever but are even more fun for the kids because of their shape. They are soft, sweet and chewy, and very very yummy! Leave a comment either here or on the corresponding Instagram post (you'll find it in my feed with the Peach Pops photo, or click on the photo in the left side bar) and tell me what your ultimate childhood comfort food was and do you still crave it now when needing a little edible hug? Mine's Tuna and Corn Mornay and you bet I still rely upon it! The only difference is that these days I usually cook it myself (using my Mum's recipe of course), but every now and then she will hand me a casserole dish filled with that yummy heart-warming goodness and always, without fail, it tastes better than any other. Please note, frame not included. But it looks pretty doesn't it? A rustic reclaimed timber frame would look great too. Next Sunday 29th May (around 4pm Adelaide, South Australia time), my kids will hold a hat full of names and I'll draw a winner. I will announce the lucky recipient on the Monday (30th May) at the bottom of this post and on Instagram, plus they will be notified by private message as well. I thought I would included this photo because who doesn't love a little 'behind the scenes' action shot? Photo credit goes to a friend of mine who was happily sipping coffee while I was making a batch of the Carrot-Apple Cinnamon Sticks from Little Bites (page 192). My friend was questioning my extreme discomfort with having my photograph taken and so grabbed my camera to help me overcome my issues. Haha it didn't work! One last detail... do you live in the U.S? Throughout the next month or so, Christine will be touring the East and West Coasts and through her sponsors, Vitamix and HawaiianShavedIce, they will be hosting a series of events involving yummy treats, book signings, demos and all kinds of fun things. Check out Christine's Events page for more details.